Wearing my new Ombre dip dyed leather Muubaa jacket in a Redwood/Oxblood color set against a lilac dress and booties and finished with my dark oxblood colored YSL lipstick and Python bag! Im so in love with these deep red and oxblood colors and decided to play the color up with pastels while its still summer and move to darker colors coming fall! Amazing look. Love the rad jacket and the shoes. Such a sweet look , love your pastel booties ! Very nice your jacket, great outfit. Wow! 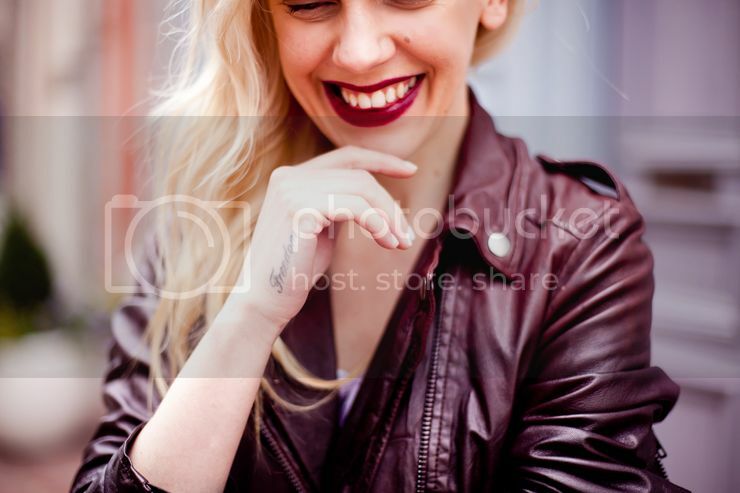 Amazing lipstick and jacket! beautiful look!!! I love the boots! damn, that ombre jacket is the s&*t!! amazing outfit! love your jacket! Love your style , the dress is awesome ! Muubaa never fails 🙂 Nice lips too!